Our Team – RPA Inc.
Rejoining RPA Inc. in a leadership role in 2015, Dana successfully combines direct experience in both executive recruitment and higher education. Prior to 2015, Dana held positions at Occidental College as a Director of Major Gifts and at Bucknell University as an Annual Fund Manager then a Development Officer. Before his time in higher education, Dana began his career with RPA Inc. as a search manager and recruiter. 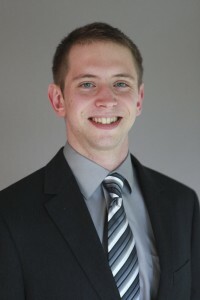 A graduate of the Schreyer’s Honors College at Pennsylvania State University, Dana’s combined history as a recruitment specialist, front-line fundraiser, and executive recruitment consultant enables him to align institutional goals with candidates’ abilities, delivering a nuanced, experience-driven perspective to clients and candidates. He has successfully facilitated searches for presidents, senior leadership and cabinet officers, as well as many other senior-level administrative positions. Dana’s bi-coastal professional experience grants him access to a broad, nationwide network of professionals, and his high capacity for meaningful and effective communication, combined with a dedication to building the strongest candidate pools, allows him to effectively and efficiently lead results-driven searches. His executive recruitment work spans public and private four-year institutions, two-year community and technical colleges, public education systems, religiously affiliated colleges and universities, as well as nonprofit organizations across the nation and provides Dana with the practical knowledge necessary to better match client needs with candidates’ skills, values, and experiences. Through both executive recruitment and fundraising, Dana has spent his entire career advocating for the needs of higher education institutions, fostering relationships that result in the successful commitment of time, talent, and treasure to meet the needs of colleges and universities. 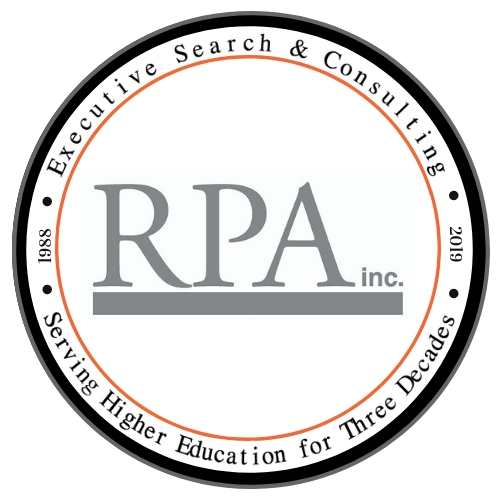 Richard Allen founded RPA Inc. in 1988, for the express purpose of helping colleges and universities to identify and hire the best possible new team members. Establishing RPA Inc. as a national firm by utilizing proactive recruitment techniques and state-of-the-art technology, Richard designed a search process that is modeled on his own history as a highly successful fundraiser, linking client mission and needs with candidate values, skills, and qualifications to confirm the harmonies of shared purpose and aligned interests. By providing unparalleled levels of information and professional discernment, RPA Inc. offers clients the opportunity to make hiring decisions with maximum confidence, and to achieve outstanding results. Richard graduated from Lafayette College with a B.A. in Psychology and completed Harvard University’s program in Institutional Educational Management. Prior to founding RPA Inc., Richard enjoyed a successful career in higher education administration, serving as the Vice President for College Relations at Gettysburg and Franklin & Marshall Colleges. In addition, he held senior level positions at Lafayette College and Bucknell University. Isaac joined RPA Inc. in 2010 as an administrative office assistant, and in the Spring of 2013, he became a Search Manager. Since then, Isaac has managed nearly two dozen successful searches for a diverse range of positions and client institutions. He graduated from the Pennsylvania State University in 2010 with a BA in English. 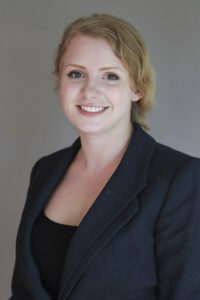 Amanda O’Donnell joined the RPA Inc. team in 2011. Since that time, she has provided comprehensive recruitment efforts, exemplary search facilitation services, and expert counsel to her clients as a Search Manager. In 2018, she was promoted to Search Consultant in recognition of her great work and limitless abilities. Amanda enjoys establishing and building dependable relationships with clients and candidates by guiding them through a search process that honors collaboration, responsiveness, and integrity. With an eye toward quality and fit, Amanda has recruited robust candidate pools for clients including Howard University, Keystone College, Lock Haven University, and Northern Virginia Community College, among many other fine institutions. 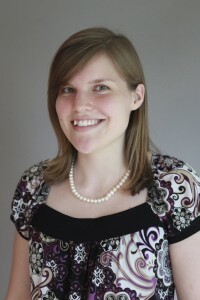 Amanda is a graduate of Bloomsburg University of Pennsylvania, with a Bachelor of Arts in English and Political Science. 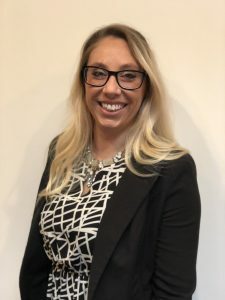 Kendra Mozug joined the staff at RPA Inc. in March of 2013 as an Administrative Office Assistant and was promoted to Search Manager in June of 2015 and then to Search Consultant in November of 2018. She now takes on the role of working directly with our clients and with an RPA Inc. consultant to deliver search services to clients by recruiting exceptional candidates. Kendra is a graduate of Lycoming College, with a Bachelor of Arts in Managerial Economics. Kendra’s dedication to candidates and clients goes beyond measure, and she brings a strong relationship component to the search and interview process. Lois Gateley joined the staff at RPA Inc. in 2010 with a background in data analysis, database maintenance and product management. Her primary responsibilities include the ongoing maintenance of over 200,000 database records, providing updated information on higher education and nonprofit leaders; growth of the database by researching and adding additional records as new leaders emerge; database design and evaluation; and consultation with RPA Inc. search managers for every search assuring outreach to appropriate potential candidates across the U.S. Key to the achievement of a successful search outcome, this selection forms the basis for each client’s unique and original candidate pool. Lois earned a Bachelor of Arts in Education from Indiana University of Pennsylvania. Prior to joining RPA Inc., Lois served Brodart Company as a Senior Data Analyst for 23 years. Jamie Larson joined RPA Inc. in April of 2015 as a Data Entry temp. In July of 2015 she was invited to join the full-time staff as an Administrative Office Assistant and then as Project Manager. Jamie graduated in May of 2011 from Bloomsburg University of Pennsylvania with a Bachelor of Science in Business Administration (B.S.B.A.) in Marketing. She comes to RPA Inc. with a background in marketing and market research stemming from her work with the national advertising agency GWA Inc. as well as customer service experience with Marriott Hotels. Jamie’s primary responsibilities at RPA Inc. include processing and acknowledging candidate applications, developing informational materials used by RPA Inc. consultants and client institutions throughout the interview process, and aiding the Information Specialist with promotional mailings. Jamie’s organization skills and attention to detail are wonderful assets in meeting our candidates’ and clients’ needs. James Barnes, Ed.D., former President of Indiana Wesleyan University (IWU) for 19 years, brings to RPA Inc. an entrepreneurial spirit and the transformational leadership skills that facilitated Indiana Wesleyan University in becoming one of the national leaders in both online and adult education, while at the same time increasing its on-campus enrollment from 1,750 to over 13,000. Jim’s achievements at IWU include building an entirely new $250 million debt free campus, conducting two successful, high-goal capital campaigns, launching new and innovative curriculum offerings, and growing the overall institutional budget from $6 million to $130 million annually. 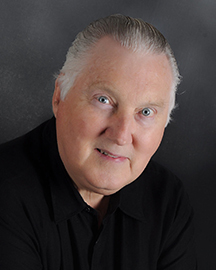 In addition, Jim initiated IWU’s seven online degree programs which enroll over 2,300 students, launched the University’s first doctoral program, and increased adult and professional studies enrollment from 750 to nearly 9,300. An alumnus of Indiana Wesleyan, Jim earned an M.Ed. in History from Kent State University, an Ed.S. from Vanderbilt University, and an Ed.D. from University of Georgia. He taught at Wesleyan Academy in Puerto Rico and Southern Wesleyan University, and previously served as Vice President for Academic Affairs at Houghton College, Dean of the College at Indiana Wesleyan, as well as several other positions at IWU. Jim, a minister in The Wesleyan Church, has been committed to educational mission work since he and his wife served as educational missionaries in Puerto Rico after graduation from college. He is a past member of the national board for the Association of Christian Schools International and currently serves on the board of Leadership Development International (LDI), a mission organization based in Beijing, China. LDI’s International Schools of China, the country’s oldest international school system, integrates academic rigor with moral development, while LDI’s Integrity Training and Consulting is the longest established international training and consulting operation in China. 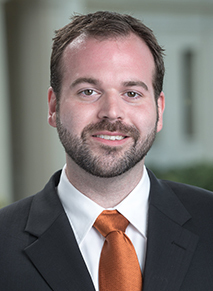 Michael Fiorentino, Ed.D. joined RPA Inc. bringing with him a career in higher education that spans 44 years and culminated in his appointment as President of Lock Haven from 2011 until 2018. During his presidency, Mike oversaw several major projects to advance the University, including the construction of Lock Haven’s Science Center and University Commons and the establishment of three colleges to house the University’s academic programs. Under his leadership, the University also developed new academic programs and an academic plan that resulted in the implementation of a new general education curriculum and program review process. Prior to his appointment at Lock Haven University, Mike served as Executive Vice President of Academic Affairs at Fitchburg State University and held leadership positions at Framingham State University. 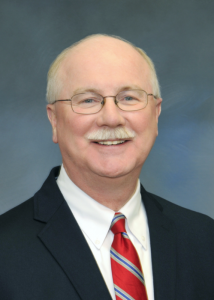 In addition to his administrative roles, Mike has taught at the secondary school and university levels, and he has served on several American State Colleges and Universities (AASCU) national committees. He also has extensive experience in international education and has worked with International American schools in Central and South America, Mexico, the Caribbean, Europe, and the Middle East. Dr. Fiorentino earned a Doctor of Education in Educational Administration from the University of Massachusetts, Amherst; a Master of Education in Special Education from Boston University; and a Bachelor of Science in Special Education from Fitchburg State University. Bob Griesemer joined RPA Inc. bringing decades of experience in secondary and higher education, as well as for-profit and nonprofit management. A native Pennsylvanian, Bob received his B.S. in Mechanical Engineering from Lafayette College. Prior to his career move to academia Bob worked for Scott Paper Company in several engineering and managerial roles. Bob has worked in academia/nonprofits for over 25 years. His first position was as Executive Officer (CFO) of the Laboratory of Nuclear Studies at Cornell University where he managed all non-academic functions of the facility, including operation of a high-energy physics, particle accelerator, supported by the NSF’s largest contract. At Dartmouth College he served as Executive Officer for the Arts and Sciences, managing faculty personnel activities and facilities coordination for that cost center. During his last year at Dartmouth he was part of a five-person task force that developed a comprehensive, ten-year facilities plan for the College. Bob spent a collective 10 years in private secondary education as CFO of The Hotchkiss School and the Ross School & Institute, where he played a major role in over a dozen major capital projects that completely changed the appearance of both campuses. Long-range planning and multi-year budgets were initiated at both, schools, during his tenure. 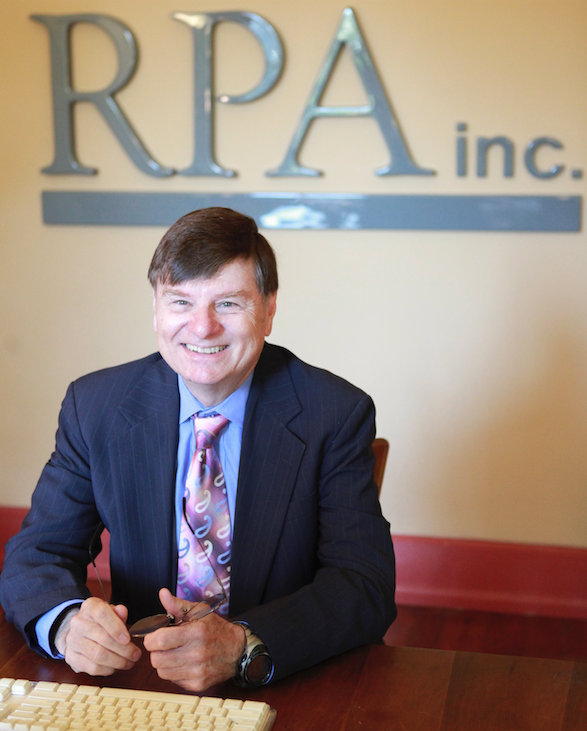 He returned to the College environment in June 2001 when he became the Vice President and Treasurer at Lycoming College, retiring in 2007 to join RPA Inc. With broad based management experience, Bob stands ready to bring top expertise to the service of RPA Inc.’s clients. George F. (Jody) Harpster, Ph.D., brings 42 years of experience at public universities in Pennsylvania and North Carolina. Most recently, he served as the 16th President of Shippensburg University of Pennsylvania, during which time he concluded a record-setting comprehensive campaign that exceeded its $45 million goal by over 50% for a grand total of $69.1 million, revitalized admissions and enrollment services, and gained approval from the PA State System of Higher Education Board of Governors to offer the System’s first Electrical Engineering major. Prior to his appointment as President, Dr. Harpster served Shippensburg as its Executive Vice President, Executive Vice President for External Affairs, and Vice President for Student Affairs. 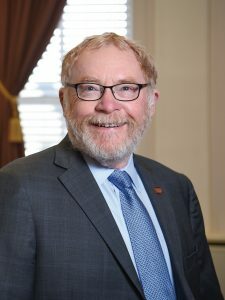 Other significant accomplishments during his time at Shippensburg include overseeing several multimillion dollar construction projects and helping the University secure initial accreditation by ABET for its Computer Science Department. Before serving Shippensburg, Dr. Harpster held several Student Life positions with the University of North Carolina at Chapel Hill and at Charlotte, including the Dean of Students and Assistant Vice Chancellor for Student Affairs at UNC Charlotte for eight years. Dr. Harpster has also consulted with business, government, and education on organizational and leadership analysis, development, and training activities. He has been a member of more than a dozen community boards, councils, and committees as well as numerous other professional organizations, including the Council for Advancement and Support of Education and Phi Kappa Phi National Honor Society. He earned his Bachelor of Science degree in Psychology from Juniata College, his Master of Science degree in Counseling and College Student Personnel Administration from Shippensburg University, and his Ph.D. in Adult and Higher Education with emphasis on organizational development and small group studies from the University of North Carolina at Chapel Hill. Dr. Harpster has taught both undergraduate and graduate courses, advised graduate students, and served on doctoral dissertation committees. He has also written on higher education-related topics and presented to professional organizations at the state, regional, and national levels. James (Jim) Heffernan, Ph.D. is Senior Associate at the New York Campus Compact (NYCC), and its former Executive Director. His career spans over 50 years in higher education as administrator, researcher, faculty member, and consultant. Academic leadership and organizational development, campus/community partnerships, and student affairs are among his areas of expertise. Prior to NYCC, Dr. Heffernan was Vice President for Student Affairs and Educational Services at the SUNY College of Environmental Science and Forestry (ESF) in Syracuse, where he also served as Vice President for Institutional Advancement. Previous work experience includes serving as Executive Director of The Washington (D.C.) Center for Learning Alternatives; Visiting Professor at the Institute for Higher Education in New South Wales, Australia; Associate Professor in the Syracuse University Department of Higher and Adult Education; Assistant Director of Institutional Research at Dartmouth College; and Research Assistant at the University of Michigan Center for the Study of Higher Education. In addition, Dr. Heffernan was a member of the AAHE task force for The Search Committee Handbook – A Guide to Recruiting Administrators. 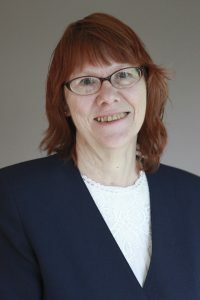 Dr. Heffernan earned a Doctor of Philosophy in Higher Education and a Master of Arts in Psychology from the University of Michigan; a Master of Arts in Student Personnel Administration in Higher Education from Columbia University Teachers College; and a Bachelor of Arts in History from Lafayette College. Gary Lowe was chief advancement officer and senior development officer at three colleges and universities for more than 30 years. He served 15 years at Gettysburg College in Pennsylvania, 11 years at Tufts University, and most recently, seven years as Dean and Vice President for Advancement at the Massachusetts Maritime Academy (MMA). During his tenure at MMA, he also served as Executive Director of the MMA Foundation, an independent, 501(c)(3) corporation with a board of trustees devoted to the advancement of the academy. At MMA, Gary convened summits of the chief advancement officers of all the state colleges in the Commonwealth to share best practices, pool resources, and inspire mutually beneficial collaboration. Each of the three schools Gary served saw increased giving during his tenure ranging from four-fold to sixteen-fold. Having run five comprehensive campaigns from concept to successful conclusion, and having had substantial roles in other campaigns raising anywhere from $2 million to $1.2 billion, Gary is a skilled campaign planner, manager, and fundraising consultant as well as a search leader. He offers clients of RPA Inc. special skills and experience in institutional visioning, board development, international fundraising, and gift planning. Gary was the architect of MMA’s inclusive Commission for the Future of the Academy. He was also one of three architects of Tufts Institute for Leadership & International Perspective (TILIP) in Beijing, Boston, Hong Kong, and New York City. Gary earned a bachelor’s degree from Denison University and a master’s degree from Miami University, in addition to graduate work at the Universities of Maine, Guam, and Indiana. He acquired a U.S. Coast Guard 100 Ton Master License. Before entering the field of educational advancement, Gary served in the United States Air Force as a commissioned officer with posts in Maine and Southeast Asia. He also held educational posts in admissions, student life, and the office of the president. David L. Soltz, Ph.D., President Emeritus, retired in July 2017 after a decade of service as the 18th president of Bloomsburg University of Pennsylvania. His career of 43 years was devoted to public higher education; half as a faculty member and half as an administrator. As President of Bloomsburg, Soltz concentrated on fiscal stability and sustainability as well as building academic programs and infrastructure for today’s students and those who will follow. The university’s strategic plan, Impact 2015: Building on the Past, Leading for the Future, was developed under his leadership and introduced in fall 2010. Under his leadership, the university exceeded the ambitious goal of the first major fundraising campaign: It’s Personal: The Campaign for Bloomsburg University. A strong advocate for high-quality, affordable, public education, Soltz appeared before the state legislature in support of adequate funding for BU and the entire Pennsylvania State System of Higher Education. He was the presidential liaison on the State System collective bargaining team with the faculty union. He actively engaged in service and leadership in higher education as a member of the Board of Directors of the American Association of State Colleges and Universities, and vice-chair of the AASCU Policies and Purposes Committee. He served frequently as the leader of an accreditation site visit team for the Middle States Commission on Higher Education. Soltz also served for seven years as Chair of the Pennsylvania State Athletic Conference, the largest conference in NCAA Division II. 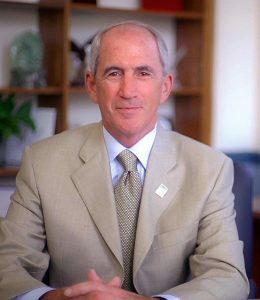 His goals as Bloomsburg’s president grew from his broad and deep higher education background as Provost and Chief Academic Officer at Central Washington University, Dean of Natural and Social Sciences at California State University, Los Angeles, and Chair of the Department of Biological Sciences at California State University, Long Beach. Soltz earned a bachelor’s degree in Zoology from the University of California, Berkeley, and a doctoral degree in Biology from the University of California, Los Angeles. Active in the local community and the region, Soltz served on the Geisinger Health System Advisory Council, Columbia-Montour Chamber of Commerce Board of Directors, and the Board of Directors of DRIVE, a regional economic development non-governmental organization. 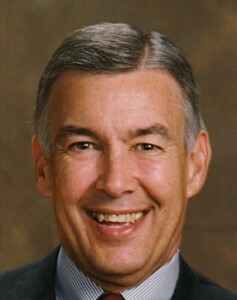 Norman Stewart, Ph.D., LL.D. has served as consultant to hundreds of presidents, officers, administrators, and trustees of higher educational, cultural and charitable institutions in the United States, Europe, Asia, the Middle East, and Africa. Prior to his consulting career, he served as President of several independent universities including Rockford University, Post University, Mount Senario College, Regent’s University London (United Kingdom), and the Near East School of Archaeology in Jerusalem. He also served as Vice President of Academic Affairs of Mount St. Joseph University and Associate Vice President of Academic Affairs of Maryville University of Saint Louis. He has been Managing Director of the Higher Education Practice at Harvard Group International and the CEO of Brakeley, John Price Jones, Ltd., one of the world’s leading firms of fundraising and management consultants. A member of Phi Beta Kappa and Alpha Sigma Nu, Norman received a B.A. from Wheaton College, an M.A. and Ph.D. from Saint Louis University, a post-doctoral fellowship at the University of Bonn (Germany), and an honorary LL.D. from Kobe Jogakuin University (Japan). President Reagan invited him to serve on the White House Advisory Committee on Funding of Higher Education. Norman has been a trustee or director of numerous educational, cultural, and civic institutions in the United States, Great Britain, Japan, Kyrgyzstan, and Kosovo.